Sales success is determined by 4 elements and driven by 4 centers of influence. Failure to address any one of these will most likely result in a lost sale. 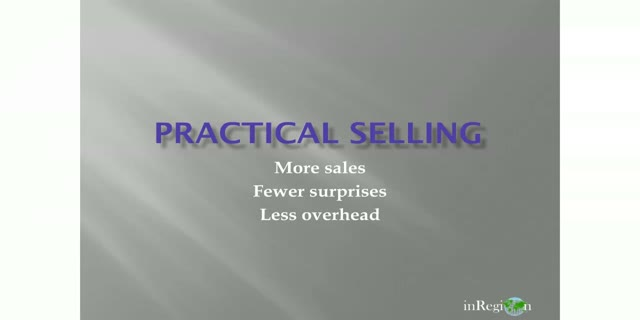 Practical Solution Selling augments the effectiveness of any selling style with practical techniques to manage even the most complex B2B sale while reducing non-selling overhead and unpleasant forecast surprises. Modesto Casas, President, In Region Inc. Presented by: Modesto Casas, President, In Region Inc.